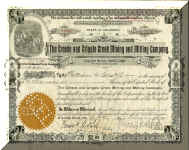 Stock certificate #65, issued April 14, 1908, uncancelled, near fine condition. 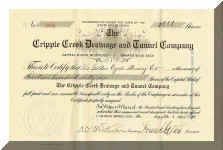 Printed on certificate, "Location of Mine: Chicago Creek, Clear Creek Co." This is an extraordinary, as well as unique, Colorado mining stock certificate. 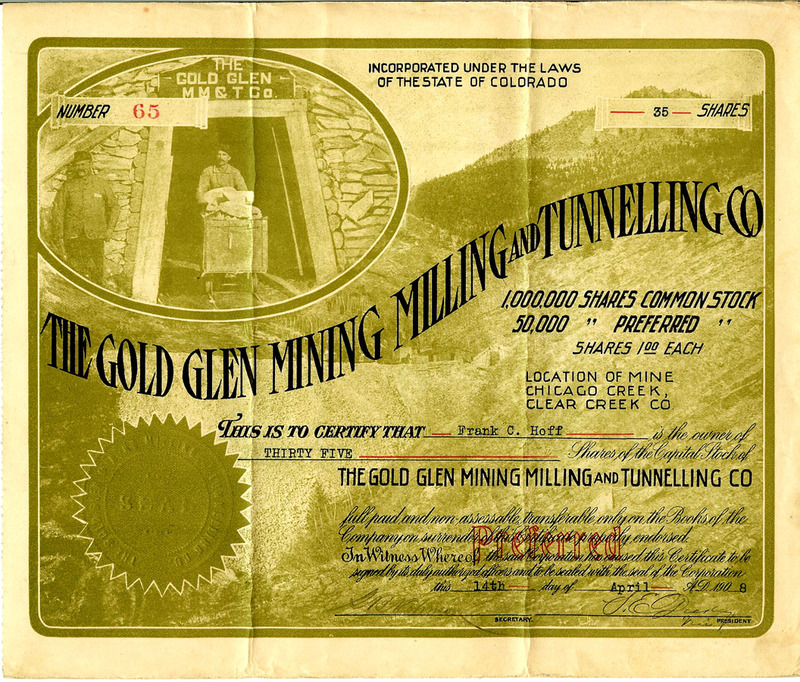 The background is a photograph of the Golden Glen Gulch area; and, the inset is a photograph of the Golden Glen Tunnel entrance. For its time, the detail is exceptional; and the format far beyond the usual. 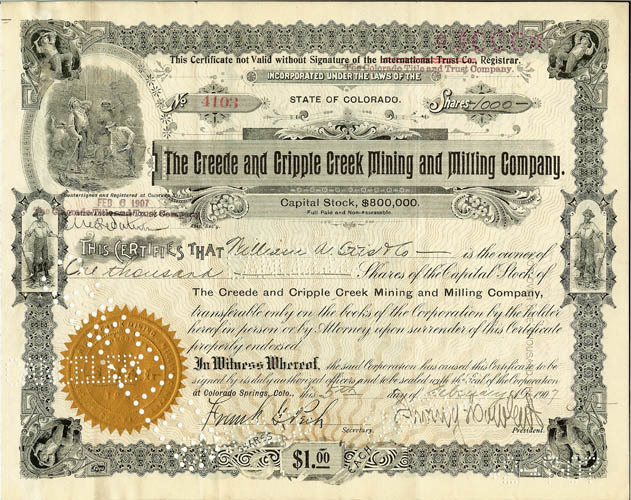 Mining property was located at head of Golden Glen Gulch, in the Chicago Creek area, near Idaho Springs, Clear Creek County, Colorado. The tunnel entrance was to the Golden Glen Tunnel. 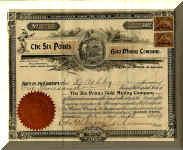 Certificate # 639, issued April 7, 1882, uncancelled, near fine condition. Printed on certificate: "Principal Offices. 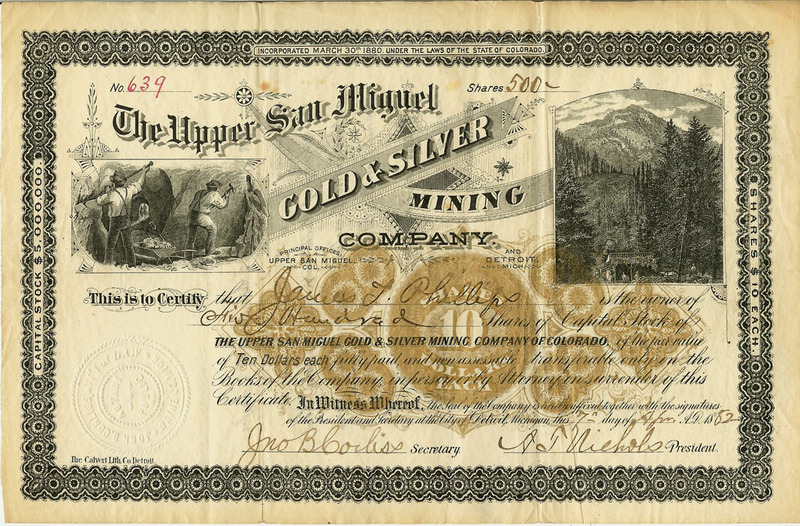 Upper San Miguel, Col. and Detroit, Mich." Signed by A.T. Nichols as president and John B. Corliss as secretary. Issued August 5, 1901, ucancelled. Mining property in and around the Town of Goldfield, Cripple Creek Gold Mining District, Colorado. 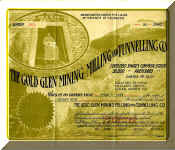 Oversized certificate, near fine condition, usual folds. Issued June 19, 1897, uncancelled. 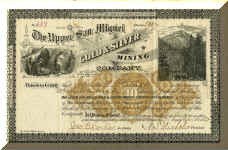 Printed on certificate: Mines Located on Bull Mountain, Cripple Creek Mining District, Colorado. Near fine condition, usual folds. Issued July 2, 1910, uncancelled. 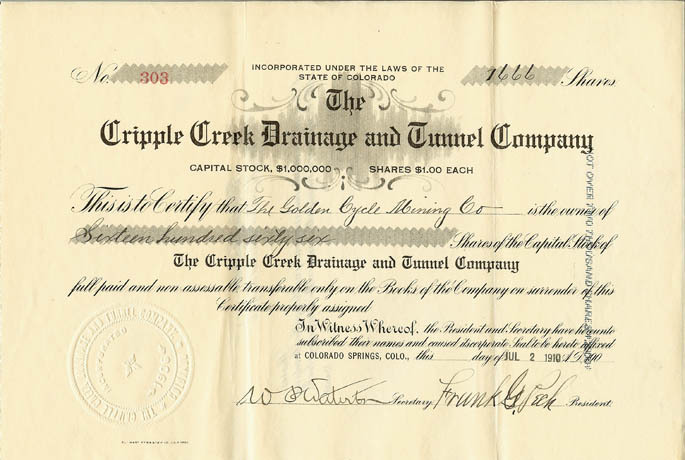 Company formed to bore the Roosevelt Tunnel to drain the southwestern part of the Cripple Creek District of water at certain levels, and to perform exploratory work. 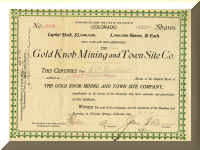 Signed by Frank G. Peck, of the Portland Gold Mining Company. Very significant mining operation the Cripple Creek Gold Mining District, Colorado. Issued February 5, 1907, cancelled. 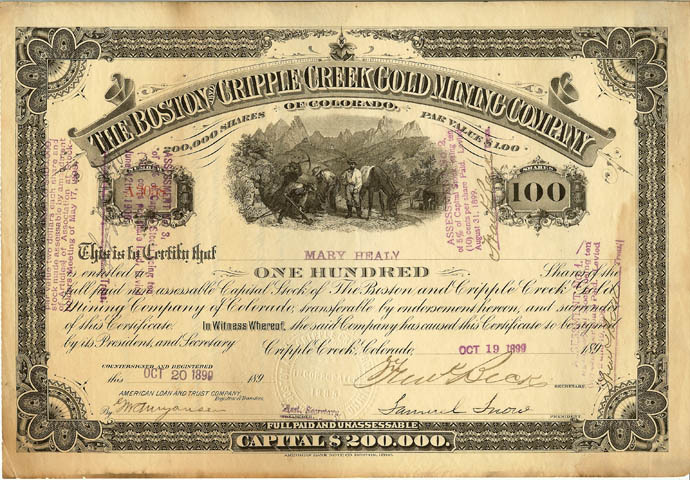 Mining property in Cripple Creek absorbed into The Portland Gold Mining Company. 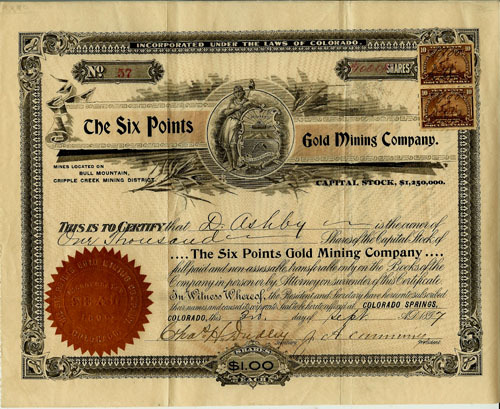 Signed by Irving Howbert and Frank G. Peck of The Portland Gold Mining Company. Very good plus condition; punch-cancelled. Issued December 8, 1900; uncancelled. Mining property in the Cripple Creek Gold Mining District, Colorado. 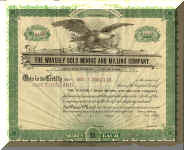 Signed by broker and promoter W.R. Foley. Condition: good plus; folds. Issued October 19, 1899, uncancelled. Corporate seal affixed in Cripple Creek, Colorado. 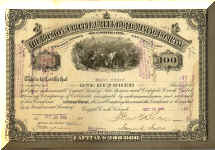 American Bank Note Company, Boston, Litho. 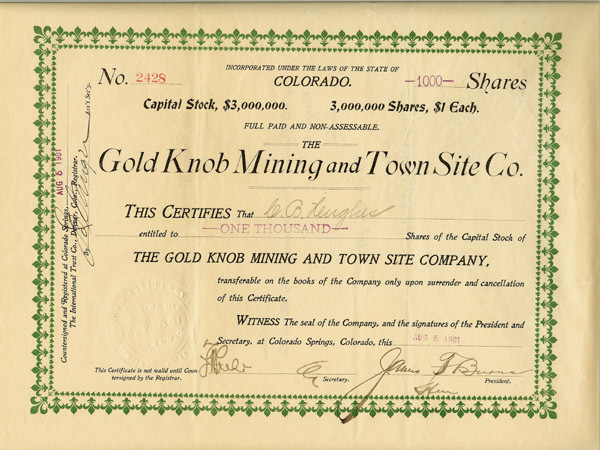 Mining property in the Cripple Creek Gold Mining District, Colorado. 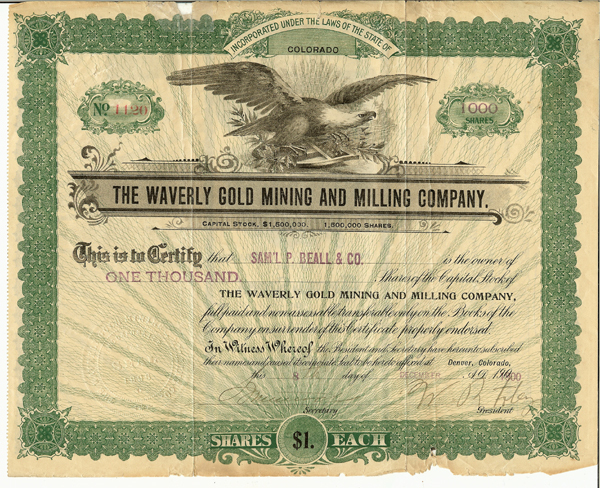 At its start, this Company was considered a sharper operation; however, around 1899, middle-grade gold ore was discovered and dividends were actually paid. Very good condition; light soiling around edges.